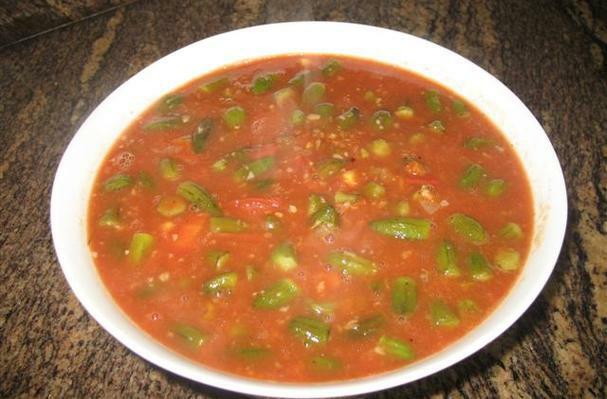 Add the okra. Sauté until it is soft, this takes few minutes if the okra is frozen and may take longer if it is fresh. Some people deep fry the fresh okra before cooking it. Okra is an underrated vegetables. It is delicious and healthy but many people do not like it or never even tried it. this recipe is a vegetarian one that is so easy to prepare and served with white rice on the side. Enjoy!